Have you been attacked or bitten by an unrestrained, unsupervised or aggressive dog in Chicago? Louis Cairo, one of GWC’s leading litigation attorneys and a partner at the law firm, uses decades of legal experience to help families dealing with the fallout from serious dog bite injuries. He builds the best possible case after every injury. You can count on Goldberg Weisman Cairo’s Chicago dog bite lawyers to get you the justice you deserve. Our team of legal professionals have recovered more than $2 BILLION in compensation for our clients and are ready to help you today. The Illinois Animal Control Act holds all dog owners responsible for the injuries that their dogs cause. This is true whether a dog has a history of violent behavior or whether it is the first dog attack. Dog owners must promptly transport their dogs to a veterinarian when their dogs attack others. A dog owner is required to transport a dog involved in an attack to a veterinarian in order for the dog to be observed and treated for a minimum of 10 days. 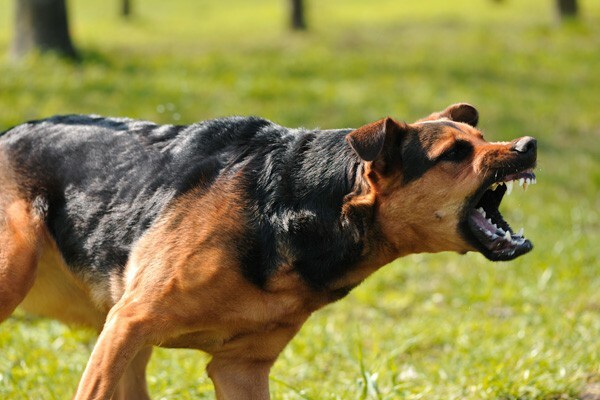 When a dog bites a human being or causes an injury, the dog must be monitored for rabies and medical professionals will often administer rabies vaccinations to dog bite victims. It is not just the owner of the dog that is liable for injuries caused by a dog. In Illinois, various individuals in addition to the owners have been found legally responsible for a dog bite attack. In some cases, landlords, veterinarians, and other third party individuals all find themselves responsible for a vicious dog attack that occurs during their care of the dog. Knowledgeable dog bite lawyers in Chicago at Goldberg Weisman Cairo can help you determine who is responsible for your dog bite injuries. The steps that dog bite victims and their families take after a dog bite injury can determine the outcome of the case. One of the most important steps after an injury is to maintain confidentiality. Remember that the attorneys, dog owners and insurance companies that are responsible for the dog bite injury are not on your side. If your dog bite injuries lead to a courtroom trial, any information that you provided to the other side may be used against you. As such, do not provide any statements or share any evidence without first speaking to an attorney at Goldberg Weisman Cairo. How Can A Lawyer Help After A Dog Bite? Lawyers can advise, represent and protect you after a serious dog bite accident and injury. When insurance companies and negligent dog owners all fail to control dangerous dogs, they need to be held financially and legally responsible. Having an experienced Chicago dog bite injury attorney on your side can help you launch a successful lawsuit. With the help of a team of experienced lawyers who are skilled at getting good outcomes, you and your family can focus on healing. Our firm has successfully used homeowners insurance, renters insurance, automobile insurance (for dog bites that occur in vehicles) and dog liability insurance to recover settlements for our clients. When it comes time to getting justice for your loved ones after a heinous dog bite injury, you need a firm that will not back down. A dog bite law firm with extensive experience holding negligent property owners, dog owners and others accountable for the dog bite injuries. Our Chicago injury lawyers will take on your case and ensure that the injuries your loved ones have suffered were not in vain.Unless we get you a recovery in your case, we will not ask for payment. That is the Goldberg Weisman Cairo guarantee. Our dog bite lawyers serve clients throughout Cook County and Peoria County.